Amtrak plans to invest up to $90 million in improvements to the historic Baltimore Penn Station, including expansion and modernization to accommodate passenger growth and significantly improve the customer experience. Amtrak has reached commercial close for Baltimore Penn Station with the execution of a Master Development Agreement with Penn Station Partners to redevelop and expand the historic station. Amtrak plans to invest up to $90 million in improvements to the historic station as part of the deal, including expansion and modernization to accommodate passenger growth and significantly improve the customer experience. 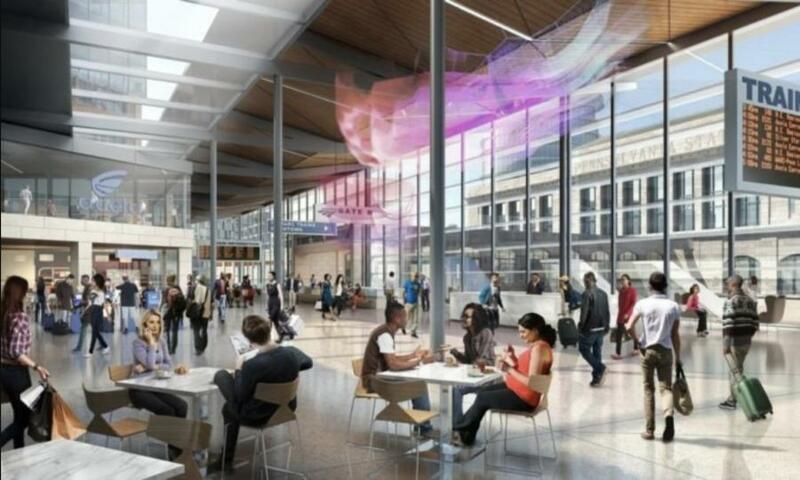 "By investing in the modernization of Baltimore Penn Station, Amtrak seeks to transform central Baltimore into a premier regional transportation hub that will provide new amenities and transit connections," said Richard Anderson, Amtrak president and CEO. "This work is part of Amtrak's ongoing efforts to improve the customer experience and grow passenger rail." Planning and development due diligence have been under way since January 2018, following Amtrak's announcement of Penn Station Partners as the selected Baltimore Penn Station Master Developer. The Baltimore-based developer partnership is led by Beatty Development Group and Cross Street Partners, along with a local and international team of highly qualified planning, design and construction firms. Penn Station Partners was selected through a competitive procurement process based on their proposal, and commitment to partnering with Amtrak and the city of Baltimore to transform the area into a vibrant multi-modal hub featuring the historic station at its center. "I am very excited that Amtrak and Penn Station Partners have taken the next critical step toward ensuring that Penn Station can finally achieve its full potential — and I am thrilled to learn that Amtrak will be committing significant capital to support revitalization of this Baltimore landmark," said Congressman Elijah E. Cummings. "I will continue to work closely with Amtrak, Penn Station Partners and the entire Baltimore community to ensure that this project reflects our local priorities, creates opportunities for local minority- and women-owned businesses, and enables Penn Station to be both an inviting gateway and an economic engine for our city." "This is an important project for the city of Baltimore and one that we need to get right," said Michael Beatty, president of Beatty Development Group. "It's so important that we stay engaged with the community and get their continued input. The first public meeting in July 2018 provided us with so much useful, insightful feedback. We are looking forward to holding additional public meetings over the next six months now that commercial agreement has been reached." Bill Struever, principal of Cross Street Partners, added "We want the redeveloped Penn Station to be treasured by neighborhood residents in addition to commuters and Amtrak personnel." The development framework and station area improvements in Baltimore will leverage additional Northeast Corridor infrastructure and capacity improvements, including the new Amtrak high-speed rail expansion effort currently under way. This project also complements ongoing Amtrak improvements at New York Penn Station; opening the new Moynihan Train Hall in New York; and further development of stations in Chicago, Washington, D.C. and Philadelphia.